By now we all know the Queen of England really knows how to live, especially when it comes to how she eats and drinks. The Queen rules the house with her meal choices, including banning garlic from all meals at Buckingham Palace and refusing to travel without a slice of her favorite cake with her. And just when you thought Queen Elizabeth II couldn’t be more of a culinary inspiration we dug up yet another tidbit that will make you wish you could spend just one day in her royal shoes. According to a report by Business Insider, the Queen enjoys not one, not two, not three, but four, yes four cocktails a day. Just before lunch Queen Elizabeth reportedly has her first cocktail of the day, a gin and Dubonnet with a slice of lemon and a lot of ice, according to Darren McGrady, a former royal chef. Then, during lunch, McGrady revealed to The Telegraph that the Queen will pair her simple lunch of vegetables and fish with a glass of wine and a piece of chocolate. “She loves it,” McGrady said. Moreover, Margaret Rhodes, the Queen’s cousin, claims that the Queen will also imbibe in a dry gin martini with lunch for good measure. 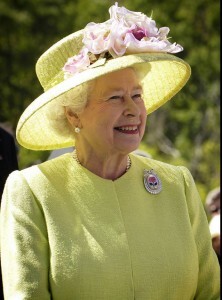 The Queen then balances out her day during afternoon tea, where she sips on an herbal drink and enjoys another sweet, such as a slice of pie or chocolate biscuit cake. Finally, the Queen ends her day with a light dinner and follows a “no starch” rule if she’s dining alone, according to McGrady. She then finishes it all off with an elegant glass of champagne before heading off to bed. As the Independent noted, this puts the Queen at six units of alcohol per day, which would technically makes her a binge drinker by government standards, but she’s 91 years old, so who are we to judge?